The Studio Essentials line of Value Light Stands is designed to give photographers a reliable, yet economical light stand solution. All stands in this series utilize spring cushioning and high-density polycarbonate locking mechanisms to keep your lights secure. Studio Essentials Value Light Stands are light weight and portable, and are perfect for use with speedlights as well as small LED panels and studio lights. 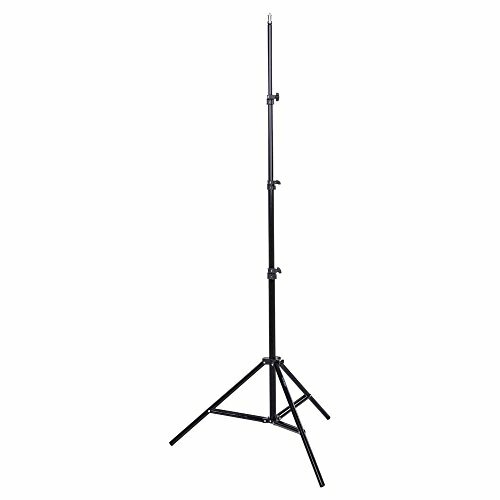 The Studio Essentials 8’6” Value Light Stand is a mid-sized, lightweight stand that is perfect for small to medium-sized lights and modifiers. This stand can support up to XXLBS (XXKGS) and features a standard 5/8” stud mount with 1/4”-20 thread. Sure-twist section locks allow you to adjust your light to the proper height, and securely lock them into place. If you have any questions about this product by Interfit, contact us by completing and submitting the form below. If you are looking for a specif part number, please include it with your message.